The Lost Ground. An area just outside Tokyo that had been destroyed over 22 years ago. And since that time, a group of unique individuals have come into existance. Alter Users. Come join the struggle of Kazuma as he defends his friends and his home in Volume 1 of s-CRY-ed! Hmmm... Sometimes a month can just be summed up by one word... and as silly as it sounds, this editorial fits that word very well... click on over and see what I mean. 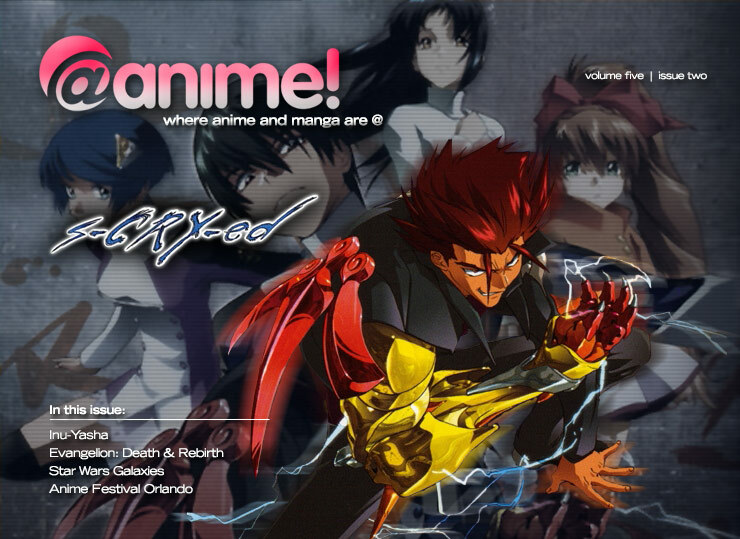 We have two anime offerings for you this month. 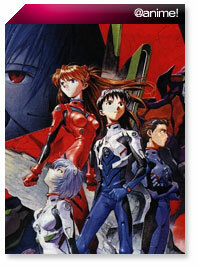 First off, we'll take a look at one of the most eagerly anticipated anime movies of all time, Evangelion: Death and Rebirth. 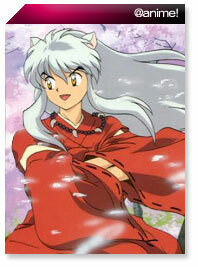 Then, we'll take a look into the latest world from Rumiko Takahashi to hit U.S. televisions, InuYasha. It's opinion time and what better way than to take a look at something that most anime fans today don't realize... Yes, what's in a name? James will tell you what. Thich glasses and pocket protectors are optional. MMORPG. No, it's not some strange rating for a motion picture. It's the latest thing in gaming. It's the Massive Multiplayer Online Role Playing Game. And this month, we're taking a look at the latest MMORPG game from LucasArts and Sony Online Entertainment, Star Wars Galaxies. It's an @wire! Interview for the masses! This month, Jonathan C. sits down with the director of the U.S. fandom documentary, Otaku Unite!, Eric Bresler. Hop on over and see what he had to tell us. With the long list of anime cons available to the world nowadays, we'd have to have something here, right? Well, this month we take a look back at one of the smaller conventions, live from Florida! It's Anime Festival Orlando!